Time to book in for your Diamond Microdermabrasion Facial — Beauty Studio: Lash Extensions, lash lift, brow shaping, makeup and skincare services. Now that winter is out and spring is in, it’s time to slough off that dead winter skin and rejuvenate with a diamond microdermabrasion facial! 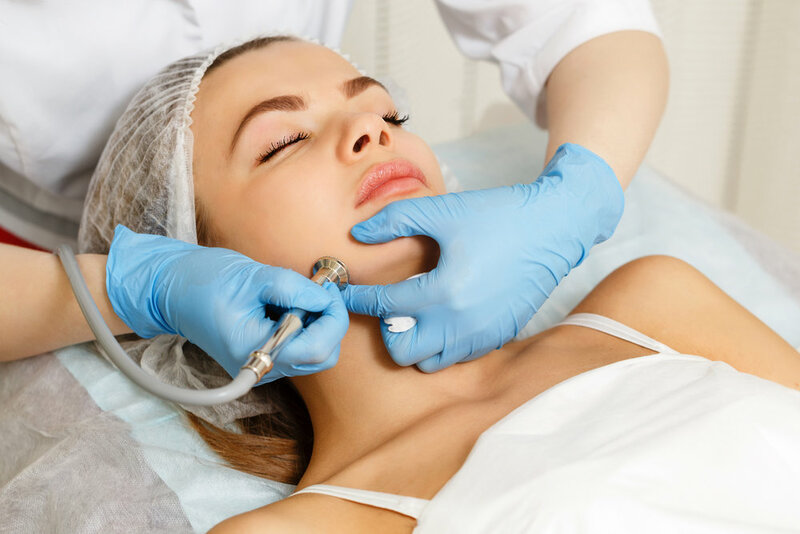 If you’ve never experienced a microdermabrasion facial here is all the information you’ll need to know about what you’ll experience. Diamond microdermabrasion is one of the easiest and most effective ways to fight the effects of aging. In this type of treatment, dead skin cells are exfoliated and vacuumed off the face with a machine that uses tips covered in tiny diamonds. Super effective and non-invasive treatment is safe and gentle. It’s also known to be very effective on acne scars, wrinkles, fine lines, hyperpigmentation, uneven skin tone, and more! Book now for your facial and receive 15% off any skincare product!